Sensory Processing Disorder (SPD) is a complex disorder of the brain that affects developing children (and some adults). People with SPD misinterpret everyday sensory information, such as touch, sound and movement, giving them a different experience of the world from everyone else. For example, some feel bombarded and overwhelmed by ordinary sensations. Some can perceive sensory information but can’t interpret it correctly. Others seek out intense sensory experiences. This can lead to behavioral problems, difficulties with coordination, and many other issues. Children with SPD are often misunderstood and labeled as aggressive or clumsy. They frequently are socially isolated and have trouble in school. Effective treatment is available, but far too many children with SPD are misdiagnosed and not properly treated. As the field of Sensory Integration Dysfunction has matured and researchers have learned more about this condition, many people have realized that it is time to clarify terminology. Although occupational therapists (OTs) usually understand one another when using the term Sensory Integration Dysfunction, physicians and other health professionals without familiarity with the theory, assessments, and intervention frequently do not share the same knowledge base and may hold a more neurobiological view of the term sensory integration (SI). Sensory Processing Disorder is viewed as a global umbrella term that includes all forms of this disorder, including three primary diagnostic groups (Sensory Modulation Disorder, Sensory Discrimination Disorder, and Sensory-Based Motor Disorder), and the subtypes found within each. Dr. Ayres chose the term for two reasons. First, it related to her hypothesized theoretical model, which posited an underlying neurological impairment in the ability to transfer sensory information efficiently between sensory systems in the brain. Second, the term referred to her proposed intervention model, which used sensory stimuli in one domain to affect performance in another domain (e.g., the use of deep pressure/proprioceptive input to decrease over-responsivity in the tactile domain). During intervention two or more sensory domains are actively used concurrently. Often, action in one or more sensory systems (or provision of one or more sensory stimuli) supports the child as she or he makes an adaptive response to a challenging situation involving another sensory system. An adaptive response occurs when a child engages in activities of increasing difficulty and makes a successful response. Sensory Integration Dysfunction is the inability of the brain to correctly process information brought in by the senses. Sensory Integration Dysfunction (SID/DSI) or sensory processing deficits can come in many different forms. No two children will be affected in the same ways. SID/DSI was first noticed in children with autism or who had autistic traits but is also seen in children with other disabilities such as cerebral palsy or ADD/ADHD or can be present by itself. Children can have mild, moderate or severe SI deficits. Children with SID/DSI can be either hyposensitive or hypersensitive to outside stimuli. For example a child who is hyposensitive to touch will constantly be crashing into things seeking extra stimulation while the hypersensitive child will avoid being touched or touching things when at all possible. 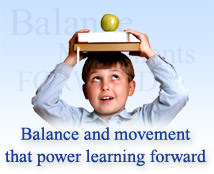 SID/DSI can also include children who have processing deficits in one or more areas. Visual and auditory processing deficits are noticed in children with cerebral palsy quite often. When a child has a visual processing deficit, it does not mean that they cannot see. It means that they have a hard time finding the words for objects they are viewing or, if asked to go get an object, they might look right at it and then say they can't find it. This is because they are seeing it but their brains are not processing that they are seeing it. Auditory processing deficits are the same, the child hears what you say but the brain does not process it so the child understands or it takes several minutes for what you have said to "click" with the child. One way to help with auditory processing deficits is to break down instructions, giving them one thing at a time to do. Let them finish the first task before you give them another instruction. Listening or music therapy can also help with auditory processing deficits. Proper and consistent use of the Learning Breakthrough Program™ can be beneficial to those who suffer from these types of issues. Adding the Learning Breakthrough Program™ to existing therapies, such as listening therapies e.g, Dynamic Listening Systems™, can have a "super charging" affect on the effectiveness of the treatment. To view a wonderful video presentation where you will hear from professionals, educators, parents and students who have experienced the Learning Breakthrough Program™, click here.